There’s a growing demand for locally produced goods, with at least one in three households now buying from farm shops- according to FARMA research. Consumers love the idea of helping the planet by reducing the air miles their food has taken, not to mention freshness and the movement away from factory farms and other mass produced products. So opening a farm shop can be an excellent way to earn more money. Essentially you’re cutting out the middleman by selling at least some of your products directly, and opening yourself up to new markets. And there clearly is a market for these kinds of products so it’s well worth expanding operations to include something like this. Here are some ideas for going about it. Farmers often face a crossroads when it comes to their selling their farm. Some of them want to sell up and move on, others want to sell and buy again but a bigger farm this time. Others don't have much choice but to sell their farm to pay off debts. Farms and estates are often assets that sell very well, whether at auction or in a private sale, and there are more reasons now more than ever to buy into the land. Buyers and sellers have a bright future in farming, and if you want to sell, you need the right tips to help you to get there. Sometimes, when there is nothing on the market, and you know you have no choice but to sell up, you need to explore your options. Perhaps instead of downsizing the farm, you could downsize the equipment through farm equipment auctions in order to generate more cash to buy another farm. There are always options out there for those serious about moving on. Below, we're going to explore a few tips to help you with your farm sale so that it can move as smoothly as possible. Selling a farm - from downsizing the equipment to moving the farm through sales - is not an easy job. So, it's time to get ready for some hard work and get proactive with it. It's competitive as a market as fewer farms are coming onto the scene than you think. It's essential to register with some agents so that they can let you know if any other farms are available, and if you're going through the auction process, it's essential to map out your next steps. Are you looking to expand and buy again? In that case, you need to speak to your bank about further borrowing as early as possible. A loan from the bank can bridge you from one farm sale to the next purchase, speeding it up along the way. Selling a farm takes the experts to work with you to get it right. A farm agent can help you to get your whole farm ready to market while managing your communications and marketing, too. From the photography of the farm to the brochure and online description, you need to realize that the presentation of your farm is not something that should be overlooked. Making a good impression is key if you want to have a successful sale, and you should consider the timing of your sale, too, so that you get the pictures of a farm that's flourishing rather than one that's messy and dying. Your farm has untapped potential, and you should consider how much you need your farm to sell. If you go through the process properly, you shouldn't have much of an issue getting the sale right. Take your time, plan correctly and you can have a successful farm sale. Only 2.5 percent of the Earth’s water comes from fresh-water sources, making it a scarce commodity. Of that fresh water, the agriculture industry consumes 69 percent of it. Lack of water, especially in areas experiencing frequent drought, creates an increasing threat to farmers across the globe. That’s why many take action to implement water-saving techniques into their businesses. The following six tips showcase ways farmers can maximize their water usage. The term sustainable has become a bit of a buzzword in recent years and is associated with many industries and practices. When it comes to farming, sustainable agriculture is an idea that has arguably been around since our ancestors began propagating seeds millennia ago. In the most basic sense, sustainable agriculture is the stewardship of food production to allow these systems to remain in place for use by future generations. Every person in every part of the food system has a role to play in creating a sustainable agricultural process. Not only are sustainable farming practices beneficial for the planet and our children, but they can also have economic benefits for farmers who choose to implement them. Running a farm is extremely complex. You have so many decisions to make in regards to so many different areas that you may often find yourself feeling overwhelmed or under excessive pressure. But not to worry. Everything will pan out fine in the end! You just need to make sure that you have all necessary information to make the right decision in each area of your business’ process. For now, let’s focus on fuelling your farm. The average farm requires a whole lot of energy to operate and you’re going to have to provide this. The majority of farmers will simply source non renewable fuels from major suppliers, as this seems the most simple and straightforward option. But it’s also important to remember that there are alternative options out there that could prove better for you, your profit margins, and the environment. Here are just a couple that you might want to take into consideration! If you currently own a farm or are thinking of investing in one, you will be faced with a whole load of decisions right from the get go. Whether you’re planning on growing crops on a vast amount of land or taking care of animals, there is certainly a lot for you to think about. When you own a farm that contains several animals there is a huge amount of responsibilities on your shoulders. They will rely on you every single day to take care of them, nourish them and protect them. This sounds like any animal lover’s dream, but it’s not always smooth sailing. If you’re serious about keeping animals here are five wonderful ways in which you can keep them happy and cared for all year round. In 2017 there were a recorded 2.05 million farms in the US according to The United States Department Of Agriculture. Now, compare that number to the 6.8 million farms which existed in 1935. In 2017, 36.8 percent of households with incomes below the Federal poverty line were food insecure. The United States has a growing population of approximately 328 million people. This means an estimated 120.7 million people experience food insecurity each year. There is a good reason to grow your own produce. Buying a farm is one of the most exciting things that you can do, not least because it means that you can get in touch with nature and wildlife, you get to see the sun rise each day, and you also get to have your own plot of land, that you’ll just look at in awe every day. In all honesty, there is no better job than being a farmer, and if you put the hard work in, you’ll soon be reaping the benefits of what you’ve sown (see what we did there?). We’ve put together a list of five things that you’ll need before you take the plunge! The growing interest for farmland has driven land values to record highs in several regions. Buying quality farmland for crop production or recreation is a great investment for individuals with high total assets and surplus income or even those who only want homesteading. 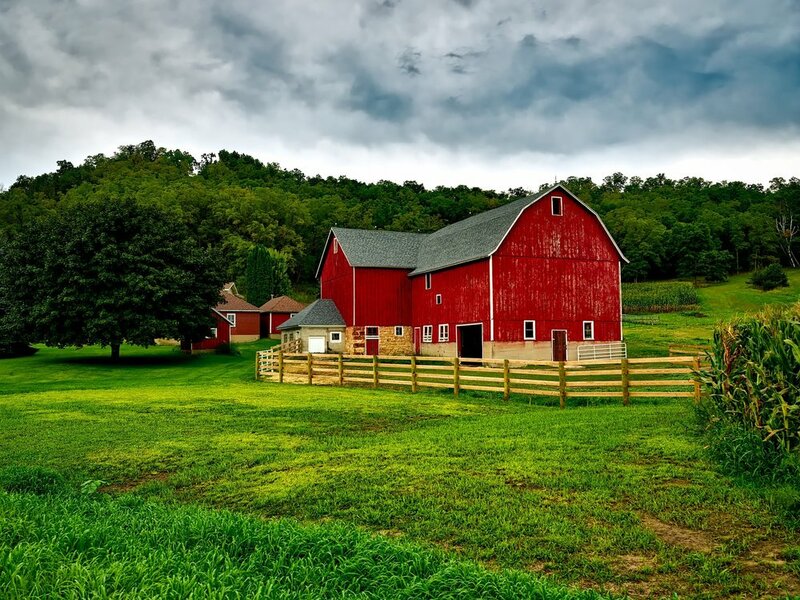 If you’re planning to buy farmland, then you should take into consideration these questions to come up with the right decision. How Dare You Neglect Your Homestead This Winter? During the summer months, running a homestead is a full-time job. Before you know, you’re spending all day, everyday keeping up with your veg and your land. You’ll rise and settle with the sun, and you’ll barely be able to catch your breath from one task to the next. It’s an exhilarating ride, and it’s probably this buzz which got you interested in homesteading in the first place. Is Hydroponics the Future of Agriculture? Agricultural engineering has taken us far beyond the early efforts of our ancient ancestors. Prehistory hunter-gatherer tribes had access to a food supply which could sustain, at most, a global population of 4 million people. With modern methods of cultivation and animal husbandry, the situation has changed.